Dr. Lopez spent the first fifteen years of his life in Guasave, Sianaloa Mexico, but made the long move, along with his parents and siblings, to Washington State in 1989. Following Graduation from Central Washington University, he worked as a Spanish and ESL teacher for the next three years in local schools. While life was comfortable, Dr. Lopez had other professional ambitions. In 2005, he moved to Milwaukee, Wisconsin and attended Marquette University School of Dentistry, earning his Doctorate in Dental Surgery degree. Shortly thereafter, he moved to Spokane to set up his practice and start his family. Dr. Lopez is married to his beautiful wife Lacey and together they have five children – Karinna, Merial, Kadmiel, Melina and Jayden, with another one on the way in February. Dr. Lopez adores providing his patients with quality dental care in a comfortable and relaxed environment. He is always continuing his education, and is currently working on Implant Education. With over 14 years of Customer Service experience, Theresa makes a fantastic addition to the Summit Dental Team. She spent the first 18 years of her life in California and then relocated to Spokane, Washington. She was recently married to her husband Andy in March of 2016 and has a daughter named Zoe as well as one on the way in January of 2017. 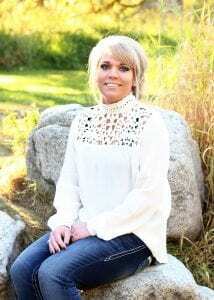 She studied Dental Assisting at Spokane Community College where she graduated with honors and is currently completing her Bachelor’s Degree in Psychology. During her time in Dentistry she has done everything from Dental Assisting, Front Desk Reception, Scheduling, Insurance, Claims and Billing. With her array knowledge she is a true asset. During her free time she enjoys outdoor activities such as Hiking, Camping, Snowmobiling and Dirt Biking with her family. As well as being a Cheer Mom for Zoe. Kelly has recently joined the Summit Dental team. She has 13 years of Customer Service experience. She is has been married to her husband Ken for 7 years. They have three children together, Adan, MacKenzie and Bouwe. She has lived in the area her whole life. Prior to coming to work in Dentistry, Kelly worked as a hair dresser for 13 years. With her excellent communication skills and vibrant personality Kelly makes a valuable asset. During her free time she enjoys going to the river with her family and off-roading in her jeep. 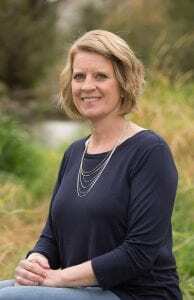 Born and raised in Spokane, Gina graduated from EWU’s prestigious hygiene program in 1994, and has since devoted the past 22 years creating beautiful smiles and building strong relationships with her patients. She dedicates many extracurricular hours to extended study and training to keep ahead of the latest dental hygiene advances, and incorporates this into her practice for the benefit of her clients. 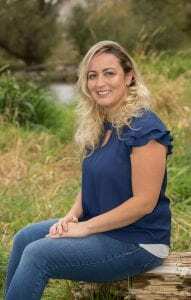 When not attending to patients, she lends the remainder of her time to her loving husband Matt and four children with scarcely a moment’s rest between school, sporting events and household chores. On those occasional, precious moments of free time, she can be found at the lake with family, playing in the garden at home, or simply curled up in her favorite chair with a good book. Emilie Calonge grew up in a small town in southeast Idaho and relocated several times before settling last year in Spokane. She became a Registered Dental Assistant shortly after moving to Washington and began her career with Dr. Lopez at Summit Family and Cosmetic Dentistry. In her time off, you can find her out on the lake on a boat surfing the wake, cruising down the trail in the RAZR, or bundled up for a snow machine ride with her husband of three years and her four year old son. Mackenzie Hapa was born and raised in Spokane, Washington. 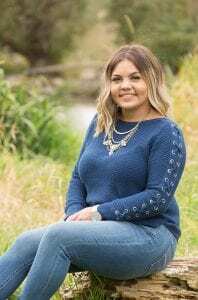 She graduated from the Spokane Community College Dental Assisting Program and is not currently enrolled in the Expanded Functions Dental Assisting Program which will allow Mackenzie to assist Dr Lopez in placing restorations such as fillings. Prior to working for Dr Lopez, Mackenzie worked at the YMCA, building relationships and mentoring today’s youth. She chose dentistry to provide great quality care for the community, and to make a difference in peoples’ smiles. 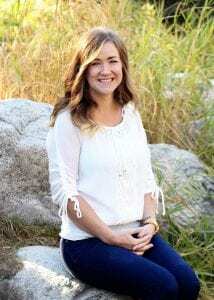 When she’s not working or going to school Mackenzie enjoys spending time with her family, her four year old son and playing volleyball.